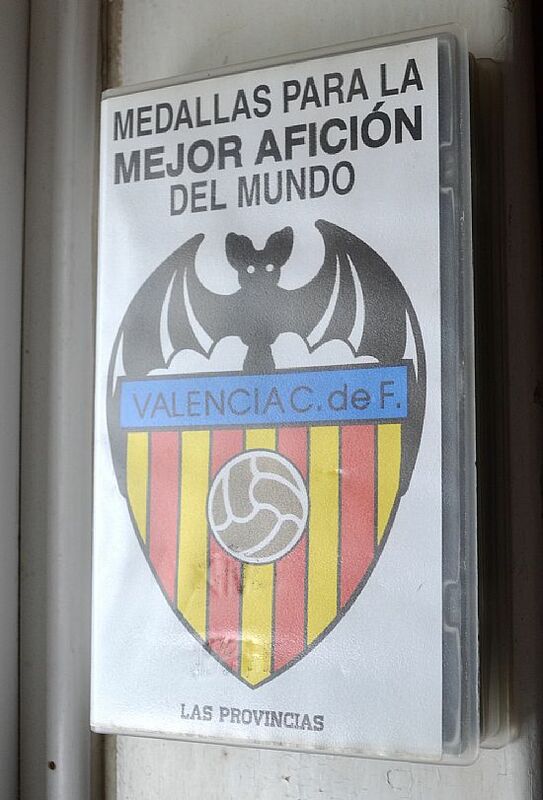 A really unusual find recently, this set of football coins was released in 1996 by Valencia. 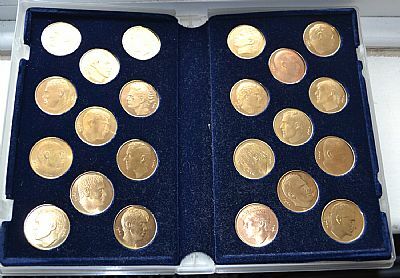 They are very similar to the other coins sets of the same period (ESSO, Sainsburys) and are nicely cast in a gold colour heavy metal. Unusually this set are presented in a video cassette case with lovely flocked presentation liner panels. There are 22 coins in total showing a portrait on one side and club crest and player name on the reverse. The players and manager in the set are Ignacio, Mendieta, Eskurza, Voila, Mijatovic, Galvez, Fernando, Poyatos, Mazinho, Navarro, Inaki, Serer, Aragones, Sietes, Camarasa, Ferreira, Zubizaretta, Engonga, Romero, Bartual, Otero, Arroyo. 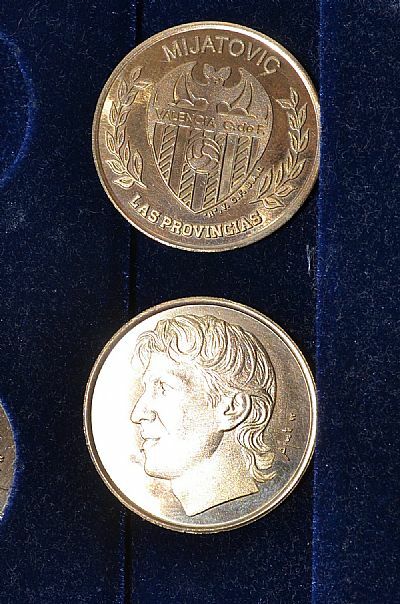 Nicely worked coin designs with excellent badge and players in profile complete with mullets! 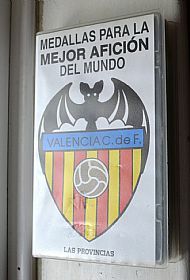 A complete set of Valencia 1996 coins in video cassette presentation style case.